Tim Steere writes his weekly article for Vital Leeds United and this week he looks at the prolonged wait for a new manager and the fact that Leeds are not now at the front of the queue. 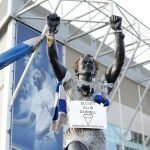 Leeds United`s future hangs in the balance. That`s the best way I can find of describing the current situation. The defeats to Brighton and, most embarrassingly, bottom of the table Coventry City has shown how important the decision of who the new manager will be has become. Any hopes of Neil Redfearn suddenly doing enough with the last three games to warrant being given the job full time has seemingly gone. He may have the support of the players, but results and performances need to change. Cheaper option he may be, but a complete change and lift is needed. Now we find ourselves stuck in a managerial chain similar to that of the housing market. Sitting at the top of the ladder is Wolves. Until the sacking of Mick McCarthy, Leeds were the only club looking, and plenty of candidates were seemingly interested. It would seem that Warnock, Dave Jones, Steve Bruce, Billy Davies et al would be fighting over the Elland Road hot seat. But once the straight talking Yorkshireman at Molineux got sacked, suddenly there became a Premier League job to fight for. And the above mentioned no doubt will have handed in a CV to Steve Morgan. Understandably, a job in the top flight is more appealing; and until Wolves decide who they want, Leeds will have to wait to see who is left. Luckily for Ken Bates, he gave Redfearn the extended period of until after the Doncaster game this Saturday for being at the helm. But after that, the selection of the best man for the job will be crucial. Sitting in 11th and six points off the play offs, the momentum is grinding to a halt. Robert Snodgrass commented in the Yorkshire Evening Post today that the players had lost that winning mentality. Hopefully it`s not permanently lost, just misplaced. When before the immediacy of Grayson`s sacking was because of a desire to quickly get the season back on track, games are running out the performances are becoming stale. What the last 14 games (after Doncaster) must show is that whoever is in charge shows that the current side has the capability of pushing for promotion; if not this season, then most definitely next. It`s paramount that a momentum of decent performances and finding that winning streak again is shown to convince the clubs best players that it`s worth staying. Players like Snodgrass, White, Becchio and Clayton; all who will no doubt be coveted by Premier League clubs, could already feel disillusioned by recent sales and performances, and look for an escape out. No doubt in terms of fan base and size of club, it is one of the biggest in the country. That cannot be questioned and will always be of huge appeal. But how long this can keep players of a better calibre at a club where the mood is negative and the momentum is nil, is very questionable. If things don`t improve and players leave, the thought of finding ourselves back in Sheffield Wednesday and United`s situation doesn`t bare thinking about. The objective now is to change the mood around the club, and a top manager needs to be appointed to lift everybody`s spirits and get fans feeling optimistic again; a manager who the players will respect and want to play for. With the recent goings on at Huddersfield Town and the sacking of Lee Clark, many say the swap is on with Grayson going to the Galpharm and Clark coming to Leeds. This would be a very surprising move and I would be very surprised to see that happen. McCarthy is rumoured to want a complete break from the game for at least a month, and Warnock wants a job closer to his home in Cornwall; all rumours and speculation but as ever, we are completely in the dark. Huddersfield may well join the chain we find ourselves in with Wolves as Steve Bruce and Warnock have been strongly linked with Town. But still, it all boils down to Wolves next move.